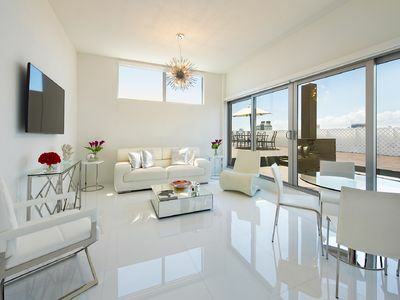 Completely remodeled 2 bedrooms / 2.5 bathrooms Penthouse unit at the Shelborne Private Residences. 1,318 square feet under air, and features an expansive rooftop terrace encompassing 3,500 square feet. 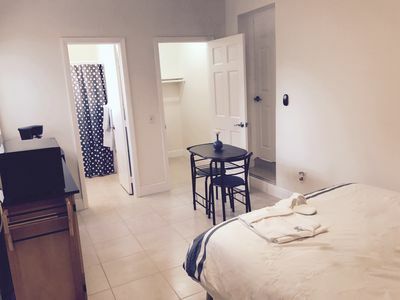 Apartment can accommodate up to 4 guests. 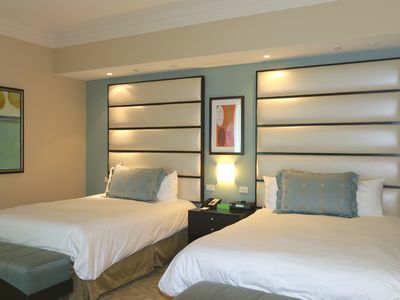 A South Beach Resort and Lifestyle Destination. Iconic Oceanfront resort offers exceptionally chic design and everything your lifestyle deserves - from leisure to dining to entertainment. With a vintage Miami aesthetic, infused with modern luxury, Shelborne South Beach is a refreshing blend of urban energy and classic cool. The living room opens to a sprawling rooftop terrace. Relax, entertain, and enjoy the sweeping views of the ocean and city beneath you. The master suite has a king bed with walk in closet and en-suite bathroom. High-speed internet WiFi, cable TV. Washer and dryer in the unit with iron, iron board and hair dryer available for guests. The bathrooms, fully stocked with premium amenities for your personal needs. All essentials: bed sheets, towels, hand soap, plates, silverware, glassware are provided to the guests.